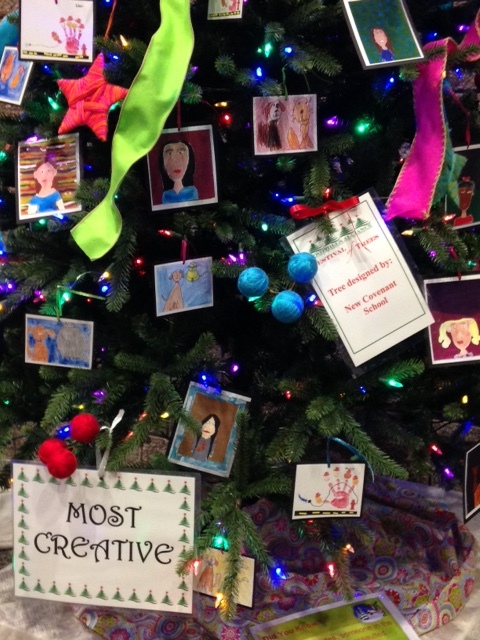 Festival of Trees – NCS, MOST CREATIVE! New Covenant School is excited and proud to announce that the Christmas tree we entered into the Foothills Alliance’s Festival of Trees WON, Most Creative!!! 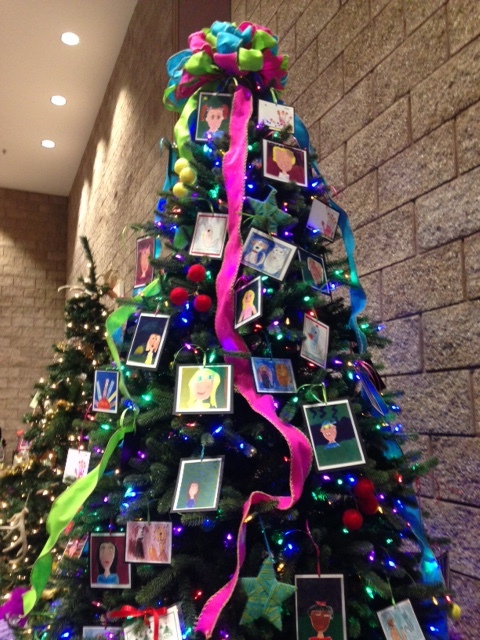 Our tree is decorated with our students’ work that was completed under the instruction of our Art Teacher, Mrs. Marie Wright. The works were then copied, shrunk, and matted by our Third Grade teacher, Mrs. Alisa Lamb. The finishing decorations were added by NCS parent, Mrs. Elizabeth Sconyers! A special thanks goes to Mrs. Lamb, Mrs. Wright, and Mrs. Sconyers for all their hard work! Also, thank you to Dr. Ron Sconyers for having the vision of NCS entering a tree this year. And of course, thank you to OUR STUDENTS for their masterpieces! Viewing of the Trees is free and open to the public on Thursday, November 12th from 10am to 8pm, and Friday, November 13th 10am to 1pm at the Civic Center.